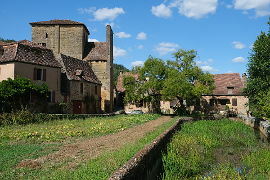 Cadouin is famous for its abbey. 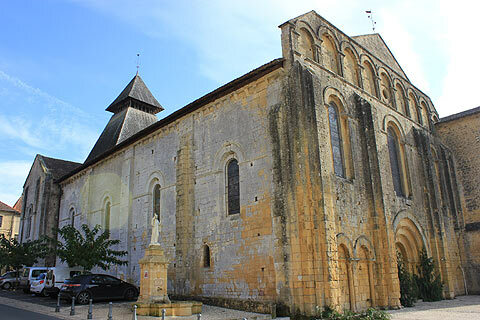 Founded in 1115 by Robert d'Arbrissel and taken over by Cistercian monks in 1119 it became one of the most important in the area. It became a pilgrim centre due to a piece of cloth said to be part of Christ's shroud. 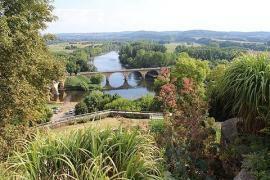 Pilgrims flocked to the Abbey which became part of the pilgrim route to Saint Jacques de Compostelle in Spain. Important pilgrims welcomed by the abbey included Eleanor of Aquitaine and Richard the Lion Heart. The shroud is now known to date from the 11th century from Egypt. 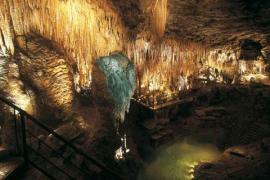 It is beautifully preserved and on display. Even if the shroud turns out not to be part of Christ's shroud the Abbey remains worth a visit. 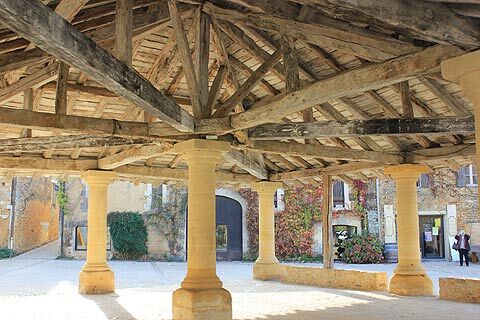 The main attraction is the beautiful cloister in gothic style dating form the 15-16th century. There are many fine pieces of stone sculpture inside though many are damaged. In the French Revolution faces of religious statues were systematically destroyed throughout France. 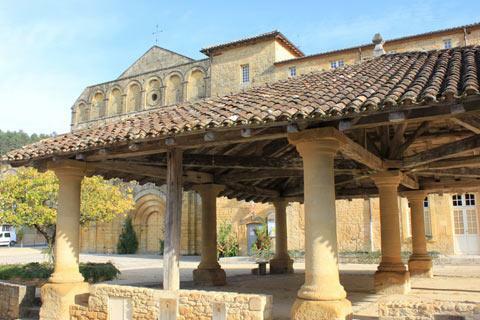 Cadouin Abbey is a UNESCO World Heritage Site as part of the pilgrim route to Compostella. 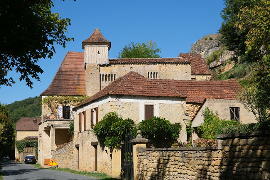 Part of the Abbey buildings, now beautifully renovated, now house the youth hostel in Cadouin. Take a look the buildings are lovely. 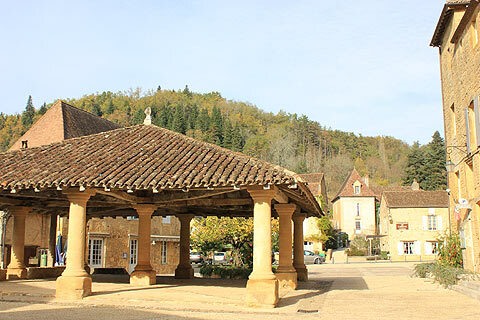 Next to the Abbey, the Halle at Cadouin is different to many in the area as it is set on stone rather than wooden pillars. Around the halle and wandering through the streets there are lots of lovely buildings and there are some very interesting shops with furniture, pottery, pictures etc made by local artists. Some pieces really are very good. 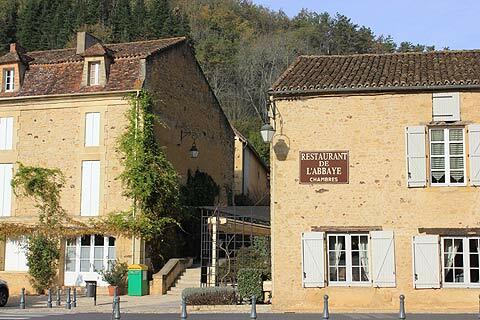 Cadouin is also a good place to eat and I can recommend the restaurant opposite the abbey, on the other side of the road for a good and very reasonably priced meal. The other restaurant looked good too. 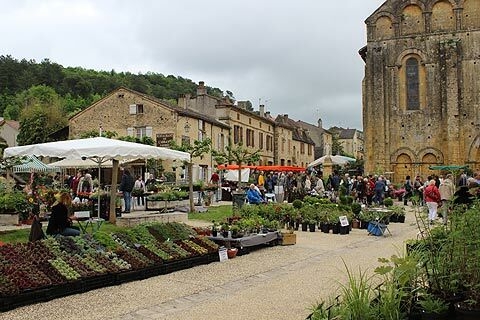 Cadouin has a medieval festival every year during the second fortnight of August. 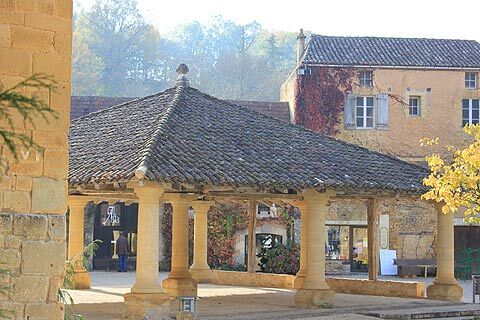 This is a great time to visit the town and many people will be dressed in medieval costume. 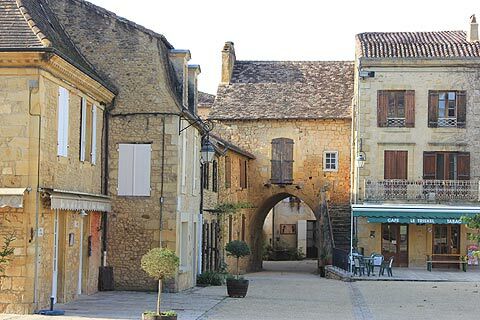 Evening Visits to sites in the Dordogne are becoming increasingly popular and the Cloitre de Cadouin opens up on Wednesday evenings for night time visits. 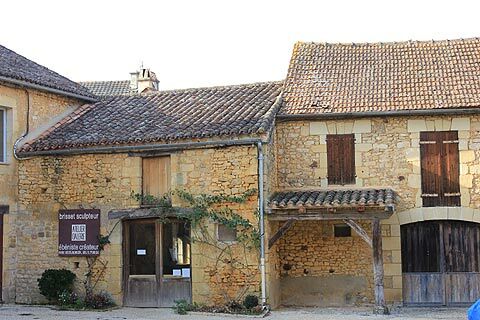 These are torchlight visits through the abbey and Cadouin itself with a theatrical story telling of the history of Cadouin. The visit starts at 9pm and lasts about 1 1/2 hours. 8 euros for an adult and 5 euros for children. 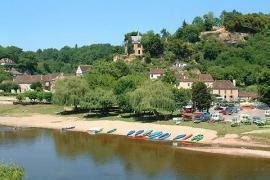 Le Buisson de Cadouin sits on the edge of the Dordogne river and there are river beaches here making it a good spot to stop for a swim and a picnic. 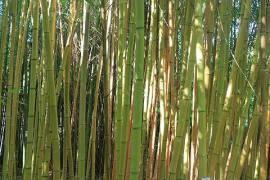 There is an excellent bamboo garden at Le Buisson de Cadouin calld the 'Les Bamboos de Planbuisson'. This garden contains more than 180 species of bamboo and 200 species of ornamental grasses and has been wonderfully laid out. 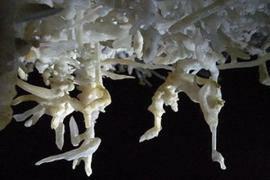 The Grottes de Maxange are caves with a great display of stalactites and stalagmites. 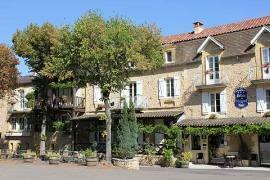 These are also situated at Le Buisson.